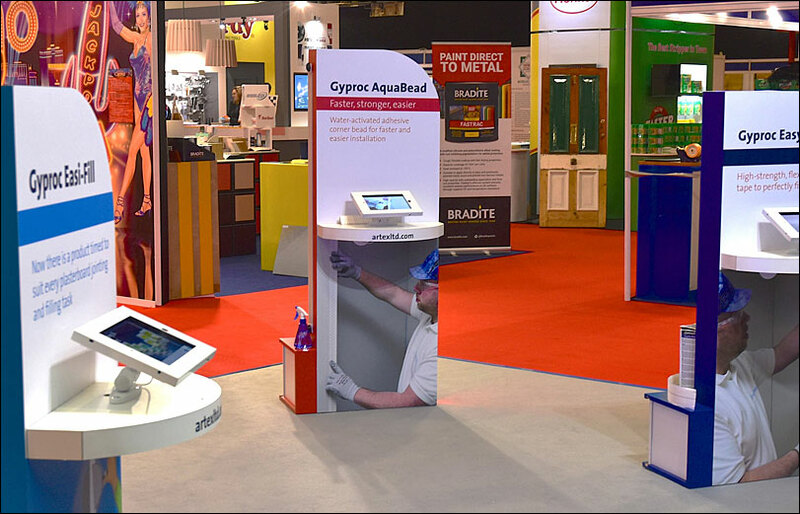 Artex wanted an exhibition display stand that would encourage tradespeople to interact with their products and showcase their individual features and benefits. The objective was the customers would walk away from the stand thinking “I need to be using these products on my jobs”. 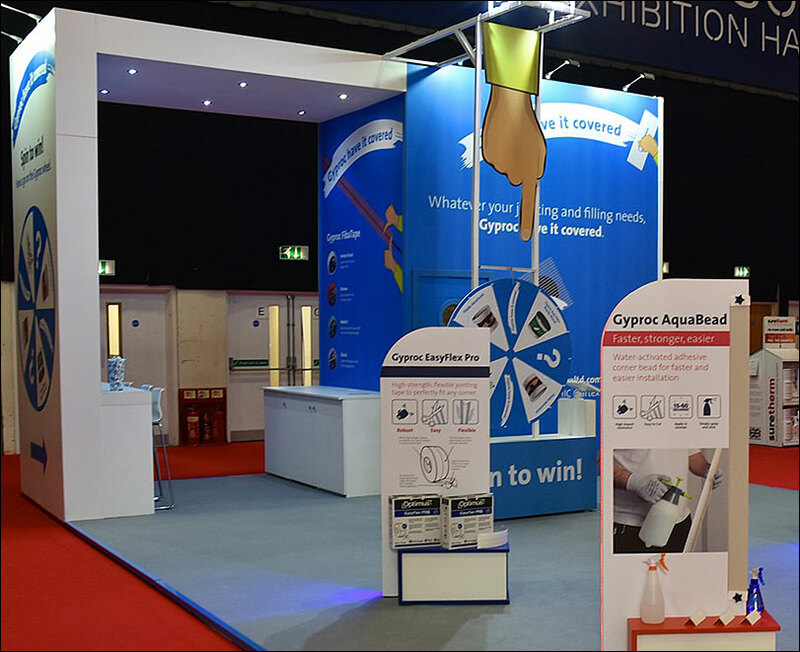 We studied the persona types that would be attending the show and created an exhibition space full of informative activity that would appeal to the types of customer that Artex wanted to attract. This included custom plinths with actual products that visitors could try using. Using data capture technology, we ensured that, once visitors were engaged, they could then take action to register interest in using Artex products. 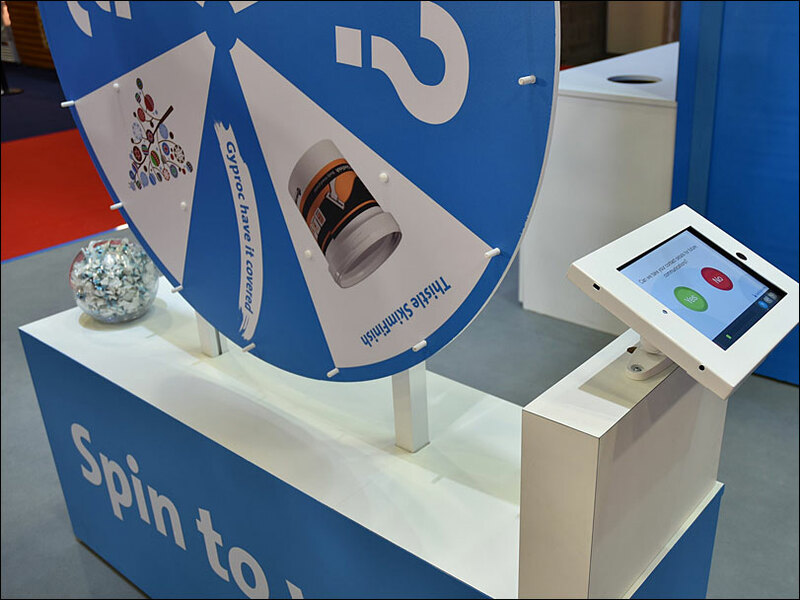 To create some fun and more activity, we integrated an interactive spinning wheel into the design, where visitors could spin to win various prizes. The overall result of the stand was Artex exceeded their target of quality contacts by 125 per cent.